Legislation may take one of several forms, depending on the intended purpose. Bills and joint resolutions may become law if enacted during the two-year Congress in which they were introduced. Simple resolutions and concurrent resolutions are the other options; these measures cannot make law, but may be used by each chamber, or by both, to publicly express sentiments or accomplish internal administrative or organizational tasks, such as establishing their rules for proceeding. Only members of each chamber may introduce legislation, though occasionally a member introduces legislation by request of the President. 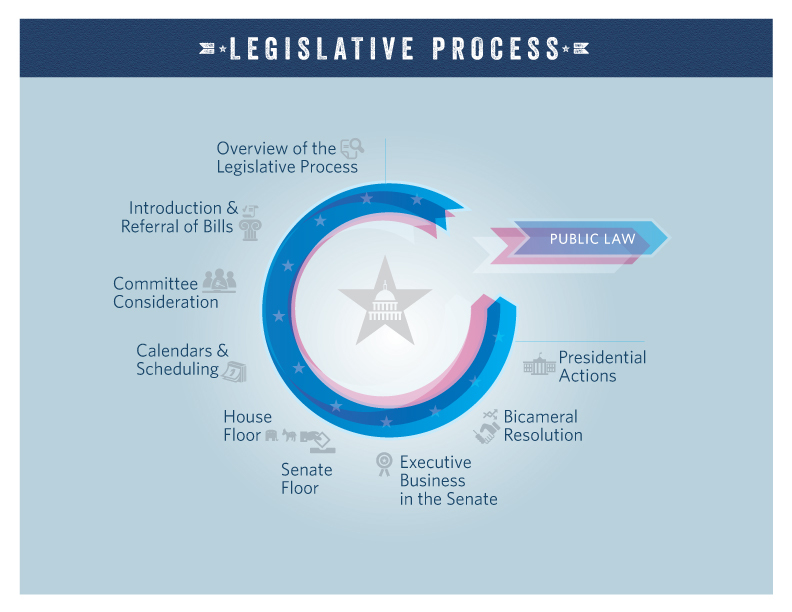 Members and their staff typically consult with nonpartisan attorneys in each chamber’s Legislative Counsel office for assistance in putting policy proposals into legislative language. Members may circulate the bill and ask others in the chamber – often via Dear Colleague letters – to sign on as original co-sponsors of a bill to demonstrate a solid base of support for the idea. In the House, a bill is introduced when it is dropped in the hopper (a wooden box on the House floor). In the Senate, the bill is submitted to clerks on the Senate floor. Upon introduction, the bill will receive a designation based on the chamber of introduction, for example, H.R. or H.J.Res. for House-originated bills or joint resolutions and S. or S.J.Res. for Senate-originated measures. It will also receive a number, which typically is the next number available in sequence during that two-year Congress. 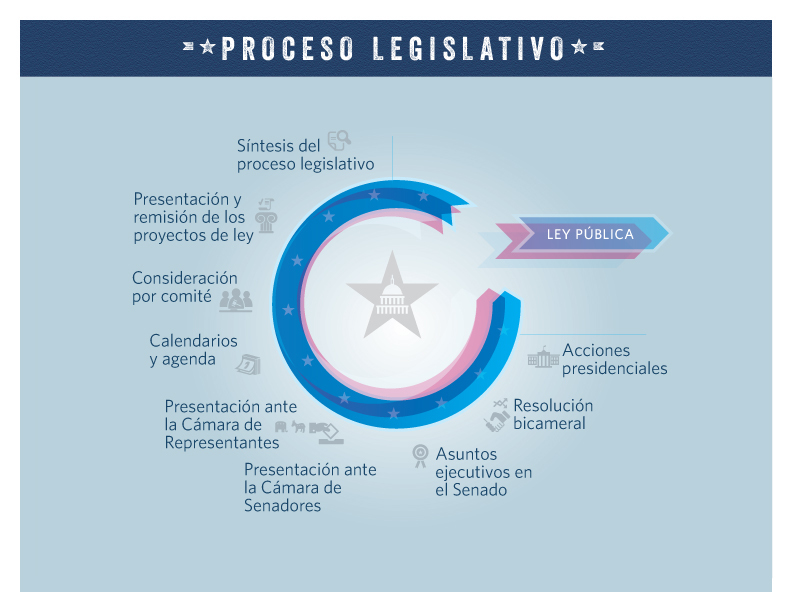 In the House, bills then are referred by the Speaker, on the advice of the nonpartisan parliamentarian, to all committees that have jurisdiction over the provisions in the bill, as determined by the chamber’s standing rules and past referral decisions. Most bills fall under the jurisdiction of one committee. If multiple committees are involved and receive the bill, each committee may work only on the portion of the bill under its jurisdiction. One of those committees will be designated the primary committee of jurisdiction and will likely take the lead on any action that may occur. In the Senate, bills are typically referred to committee in a similar process, though in almost all cases, the bill is referred to only the committee with jurisdiction over the issue that predominates in the bill. In a limited number of cases, a bill might not be referred to committee, but instead be placed directly on the Senate Calendar of Business through a series of procedural steps on the floor.